When it comes to dessert, I always return to my two favorites: rice pudding and flan, in all imaginable variations. This cross between rice pudding and creme brulee makes a fantastic ending to any meal. In a small pot, add water and cinnamon sticks, bring to a boil and cook for 10 minutes. Set aside and discard cinnamon sticks. Place the rice and the cinnamon water in a large saucepan, over medium heat and cook for 5 minutes. Add salt, butter, 1 cup milk, coconut extract, 1 cup coconut milk and sugar. Stir well to mix and cook uncovered for approximately 15 to 20 minutes. Reduce heat to medium-low. Add the remaining coconut milk, heavy cream and condensed milk. Stir with a wooden spoon. Cook for 1 hour and 15 minutes, or until the rice pudding thickens to desire consistency. Add the coconut flakes. Stir well and remove from heat, and let it cool at room temperature. The consistency should be very creamy. Divide the rice pudding evenly into 6 ramekins. Refrigerate for a least 1 hour or overnight. Just before serving, preheat the broiler and top each ramekin with 1 tablespoon of brown sugar. Put the ramekins in a baking pan filled with water and broil the custard for 2 minutes, or until golden brown. Serve and Enjoy! Rice pudding ia always on my top list when it comes to dessert. But never thought of making such a version. That looks so tasty! Oh my word that looks heavenly! I love rice pudding!! You are incredible! You’ve created the perfect solution for the dessert dilemma between me and my husband: he loves crème brulée while I adore rice puddings. Harmony in a dish! Wow – looks fantastic… Rice pudding is one of my favorites, and turning it into a brulee sounds divine. I will definitely be giving this one a try! Debe estar buenisimo!! No lo he hecho con la leche de coco, pero la próxima vez que lo haga, lo hare así como tú. Looks delicious.! I love rice pudding and I like the idea to add coconut milk. That’s a great combination, love both of them, and it looks amazing. Sounds really comforting to me esp. the rice & the coconut milk. Lovely dessert! That sounds super! 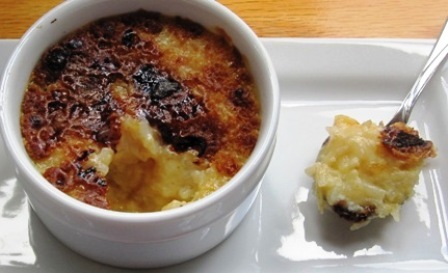 What a great idea to make a rice pudding brulee! Very nice! Collect your award from my blog!!! That’s very creative…and I’m sure delicious! Unlike brulee, having the rice pudding underneath gives it some bite. Oh my goodness Erica, This looks perfect!! I’m printing this out and making it for my family! P.S. So sorry, I havn’t visited in a bit, you have great posts!! yumm!!! rice pudding!! i shud try ye way!! m sure this will taste heavenly deish!! Thank you everyone for visiting my blog! 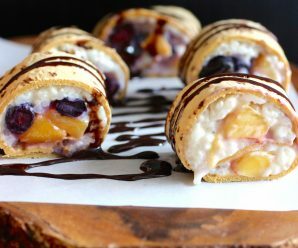 This looks absolutely delicious – it combines all of my favorite desserts into one! AND with added coconut! SO GOOOOD! this is the best arroz con leche recipe ever!!! i made it and i love it!!! so easy! gracias por compartir un poco de nuestra cultura de una manera positiva al mundo! Thank you so much for your feedback! Glad you liked the rice pudding! Siempre me ha encantado compartir lo bueno que tiene Colombia 🙂 Gracias por tu lindo mensaje! Very very creative…I love a good rice pudding, & this looks fab! This looks yummy. I don’t know why but my rice pudding does not come out creamy???? Thanks for sharing the recipe I’ve been meaning to make my grandmas rice pudding for ever. This comes closest plus coconut yummi. 1. 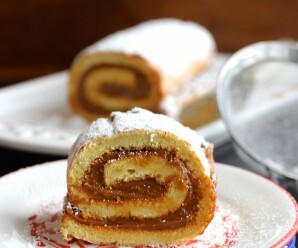 I used brown sugar instead of white (I don’t use sugar so figured brown would be “better”. Is brown sugar sweeter than white? 2. I poured the entire can of condensed milk thinking; ok the standard is 12oz WRONGGGG. 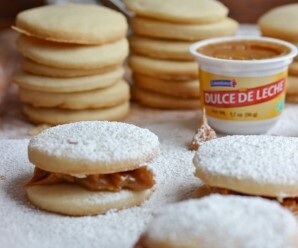 US condensed milk cans are 14oz or at least what I got “La lechera”.